My wife and I were actually on our way to Zarda Bar-B-Q when we drove past Bee Cee’s. We decided that since it was beginning to get late, we would stop in here instead. 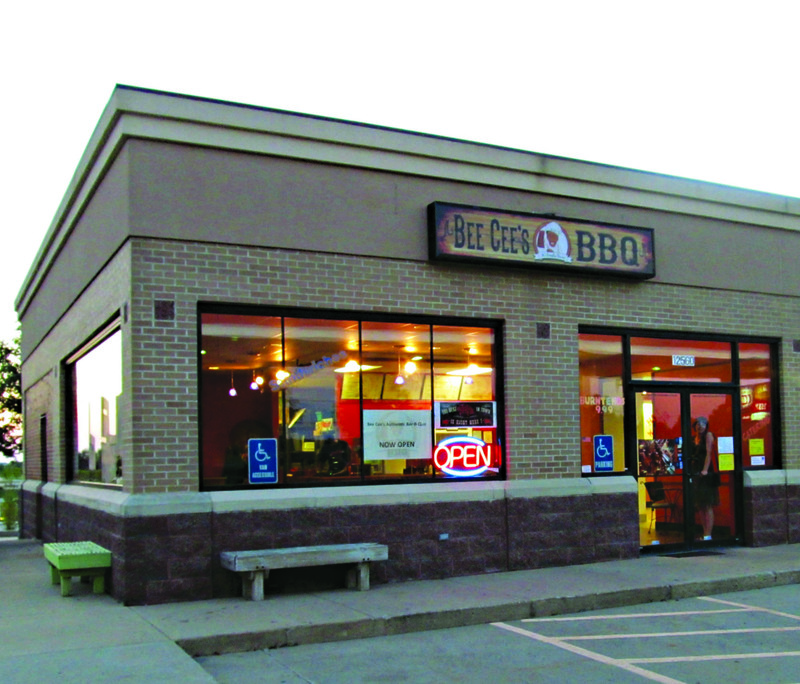 Bee Cee’s is located at 12560 Quivira, in Overland Park, KS. The name comes from the letters B and C, the initials of the owner’s son. It shares a location with a gas station, just like the world famous Oklahoma Joe’s Barbecue. 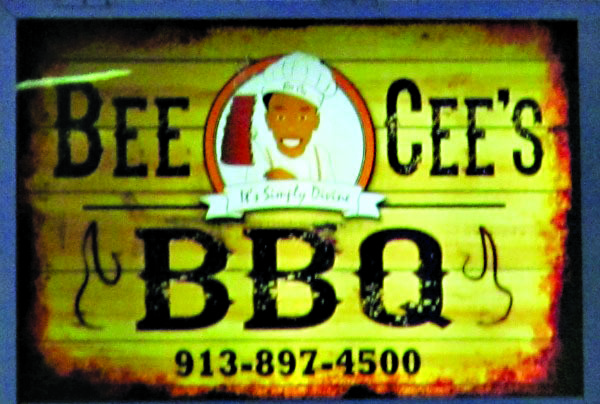 Unlike Oklahoma Joe’s Barbecue or Zarda Bar-B-Q, Bee Cee’s uses an electric smoker. 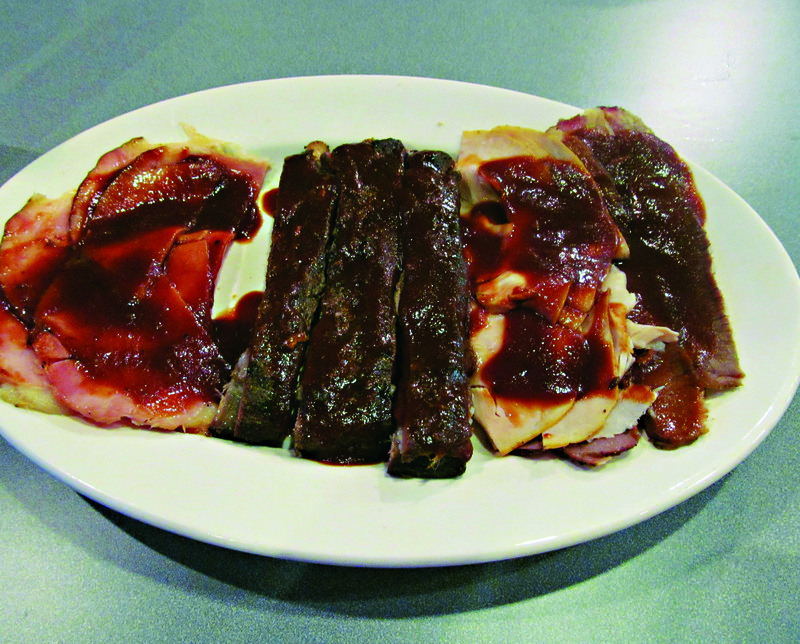 Their barbeque, served wet, has a sauce heavy in chili powder. This sauce paired pretty well with their ribs. In fact, I liked it much better than I thought I would. 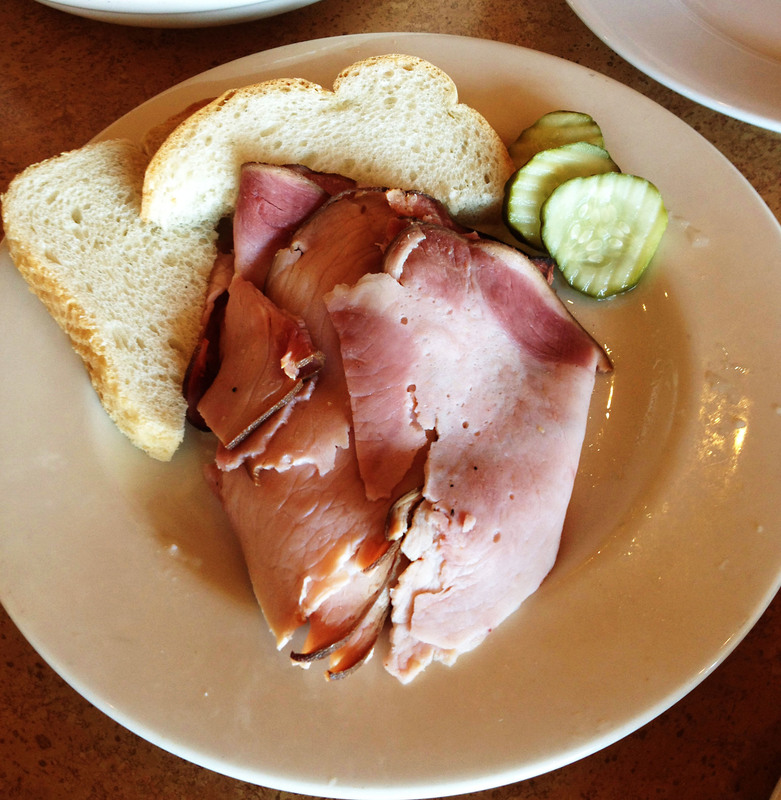 Their other meats were sliced deli style thin. If you are looking for something different in the Kansas City area, check out Bee Cee’s. ATTENTION: Only a few more hours until our contest giveaway for a “Bacon Nation” recipe book is closed! We wanted to make sure that our friends that missed out on August’s Bacon Fest in Kansas City didn’t feel forgotten, so we are giving away one of these bacon-tastic books! 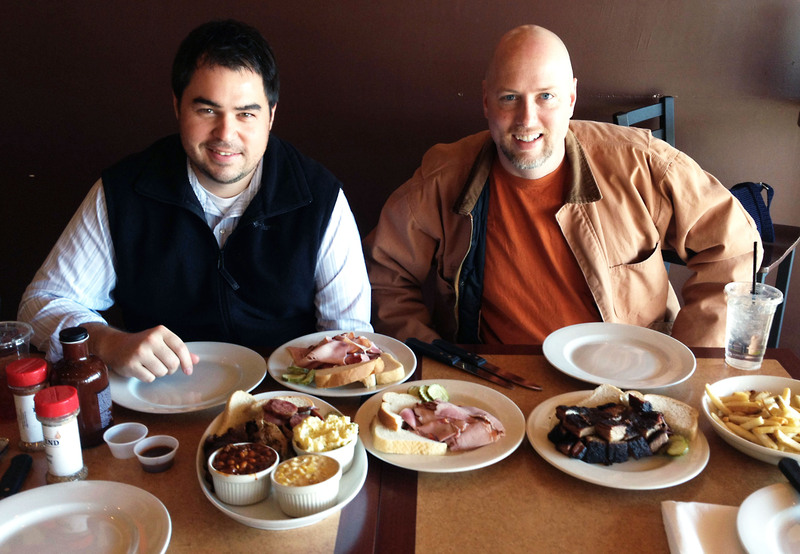 Head over to last week’s post, Kansas City – Bacon Fest to learn how you can win. Entries must be submitted by today, September 3rd at 4:00 pm CST. 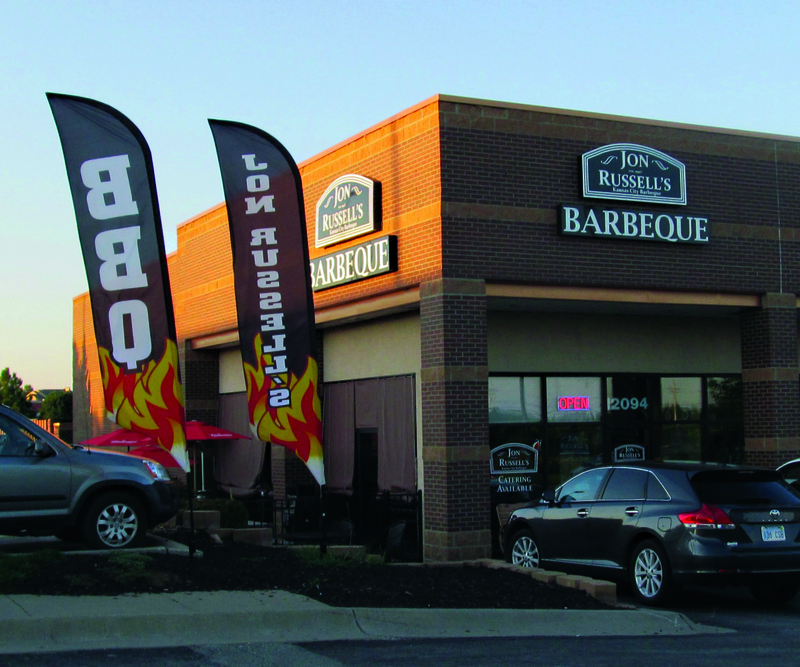 I was looking for a place to take my wife out dinner in the Kansas City area and found Jon Russell’s Barbeque. 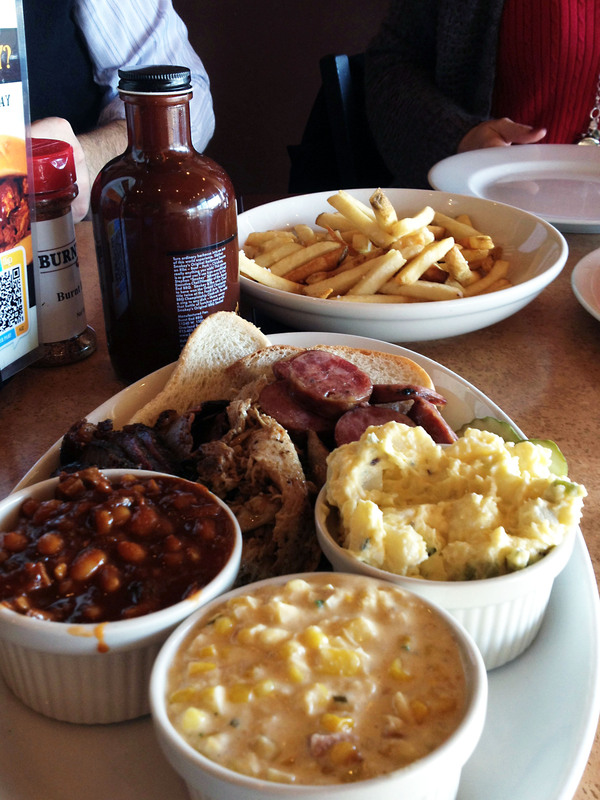 Jon Russell’s Barbeque is a newer restaurant located at the corner of 135th Street and Quivera in the Prairie Center Shopping Center in Overland Park. Kansas. According to their website, they are “micro-smokehouse” which is a fancy way of saying that the restaurant is too small. You certainly can’t fit a large crowd here, but if there are only a few of you, it’s worth checking out. 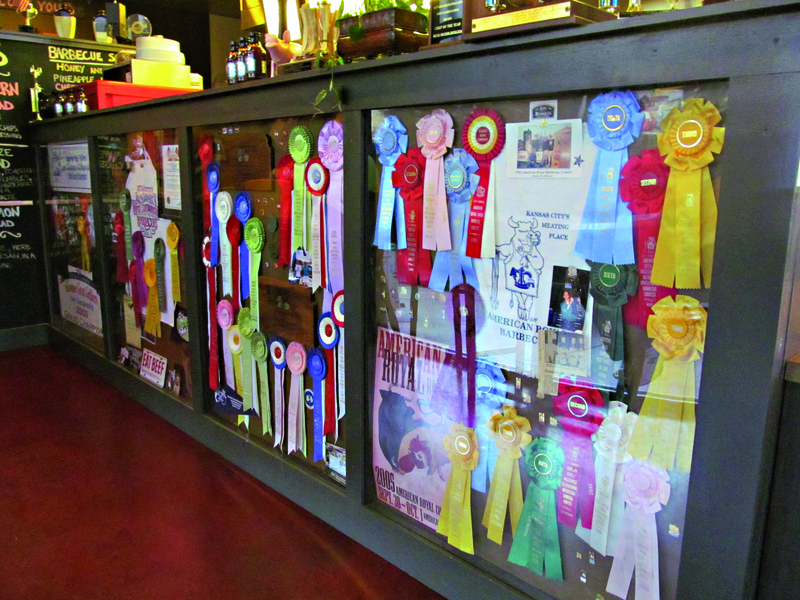 Owners Russell Muehlberger and Jon Niederbremer are award winning competition cooks with over twenty years of experience and an American Royal win! Pretty impressive credentials, but it shows in the quality of the food. 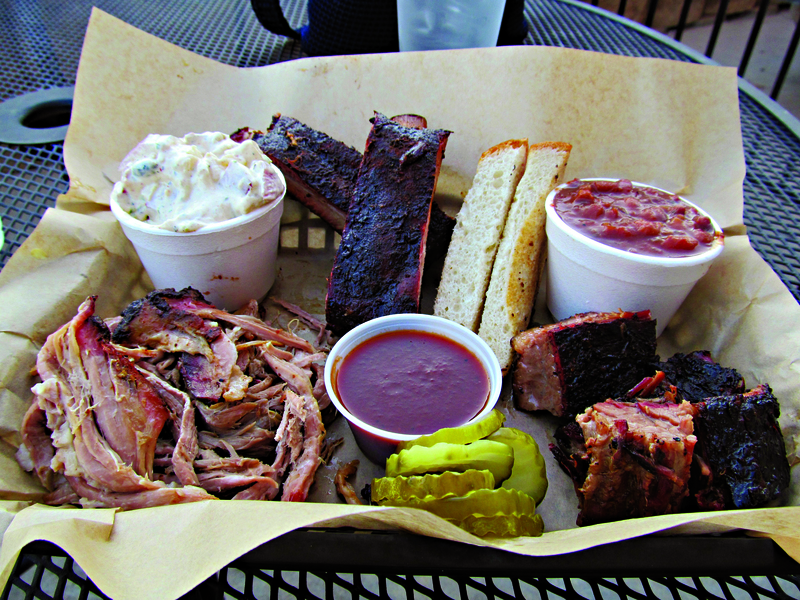 The meat certainly rivals that of the best Kansas City Barbecue Society competitive barbecue teams. The ribs were fantastic and their side dishes were good also. 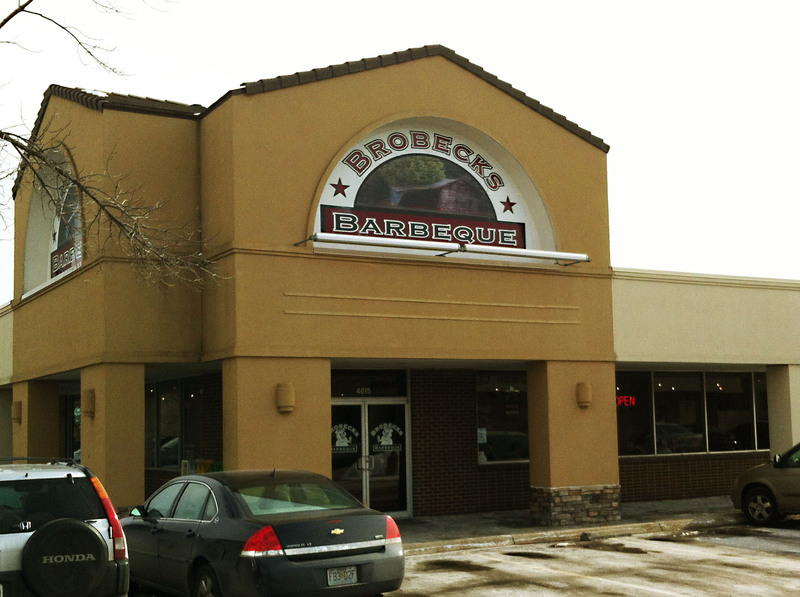 If you like great Kansas City Style Barbeque, check this place out! ATTENTION: Only a few more hours until our contest giveaway for a new apron is closed! Keep Calm and Eat Pork. That’s our motto here at In Pursuit of Pork and we’re making a statement with our new aprons! Head over to last week’s post, Smoked Creations – Ottawa to learn how you can win. Entries must be submitted by today, August 20th at 4:00 pm CST. Interested in more ways to ‘keep calm and eat pork?’ Head on over to our new site, eatpork.org, for recipes, coupons and more!